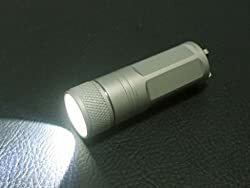 The 3 watt LED flashlight category was created by sportsmen, police, and emergency response personnel who needed a compact yet powerful flashlight with a bright beam. Originally powered by expensive CR123 lithium batteries, many models are now powered by cheap and readily available AA or AAA batteries which are even more inexpensive if you recharge them. Below is the cream of the crop of the current 3 watt LED flashlights and I am sure you can find one that meets your needs. 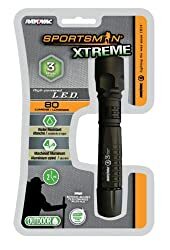 The Rayovac SELUX2AA3W-B Sportsman Xtreme 3-Watt Luxeon LED Flashlight comes with batteries and everything else you need in a high performance 3 watt LED flashlight designed for the “Xtreme” sportsman in everyone. The street price of $29.99 buys you a 4.8 x 4.2 x 9.8 inch; 5.6 ounce unit made from machined aircraft aluminum and is water resistant. It puts out 80-lumens and is powered by 2 AA batteries. 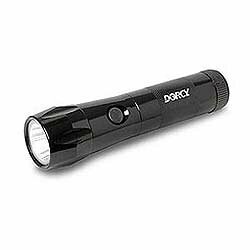 The Dorcy 41-4275 3AAA 3-Watt Aluminum Flashlight has a street price of about $24.99 and all the specifications of a top contender. The super 3-watt LED generates 75 lumens of light output through a supercarbonate lens and will project a beam of light over 100 feet. The 5-1/2-inch black anodized aluminum meets all the needs of the most demanding enthusiast and will last for years. 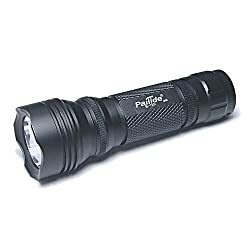 The Pailide Ultra-Bright G7231 Xenon 3 WATT LED Compact Aluminum Flashlight is the bargain offering in this collection as it has a street price of about $10.94. There is no skimping on features though since it has a Xenon 3-Watt LED, shockproof aluminum alloy body and is shockproof, dustproof, and waterproof. The bulb outputs 45-55 lumens brightness with an effective range above 40 Meters. The flashlight is powered by 3 AAA (1.5V) batteries. The physical specs are length: 4.6 inch; diameter: 1.5 inch; net weight: 0.2 pound. 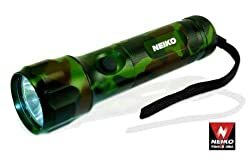 The Neiko Tools Heavy-Duty Ultra-Bright 3-Watt Luxeon LED Aluminum Flashlight is probably the economical choice among the 75 lumen Luxeon models with a street price of about $16. Popular with law enforcement, security personnel and emergency responders. Very comfortable to hold with a precision all-aluminum body and a positive-action switch (click on/click off) that’s perfectly positioned for use with the thumb. It comes in a Camouflage finish and the overall dimensions are 5″ length, 1-1/4″-diameter barrel, 1-5/8″-diameter lamp-head. Uses 3 AAA batteries. 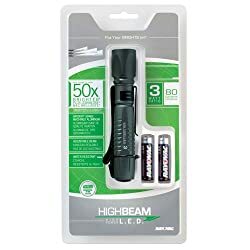 The Rayovac HighBeam Flashlight 3 Watt Luxeon LED Flashlight is nearly the same as the above Ray-o-Vac flashlight but can generally be found $5 cheaper. Made out of aircraft grade aluminum, it has an adjustable beam, handy clip & wrist strap, and DC/DC regulated circuitry to provide maximum light output throughout the life of the 2 AA batteries. There is also a lifetime warranty. If you want maximum light in minimum space then the Fenix P1D Natural 3 Watts CR123A Luxeon LED Flashlight is for you. Yes it uses lithium CR123A batteries, but it is only 2.8 x 2.1 x 2.1 inches in size and weighs 3 ounces. The digital control system has the following 5 output modes: 40 lumens(2.8hrs)->70 lumens(1hrs)->7 lumens(21hrs)->Strobe->SOS. It is made from aerospace grade aluminum with a Type III hard anodized finish and includes a belt holster, spare o-ring, and claw key ring. Note that the battery is not included in the $44.95 street price. Last updated on Saturday, September 29th, 2012 at 6:36 pm	and filed under LED Flashlights.